The EG-CERT was honored to welcome the Ghanaian minister of communications, Ursula Owusu-Ekuful as a part of her visit to the Egyptian ministry of communication. 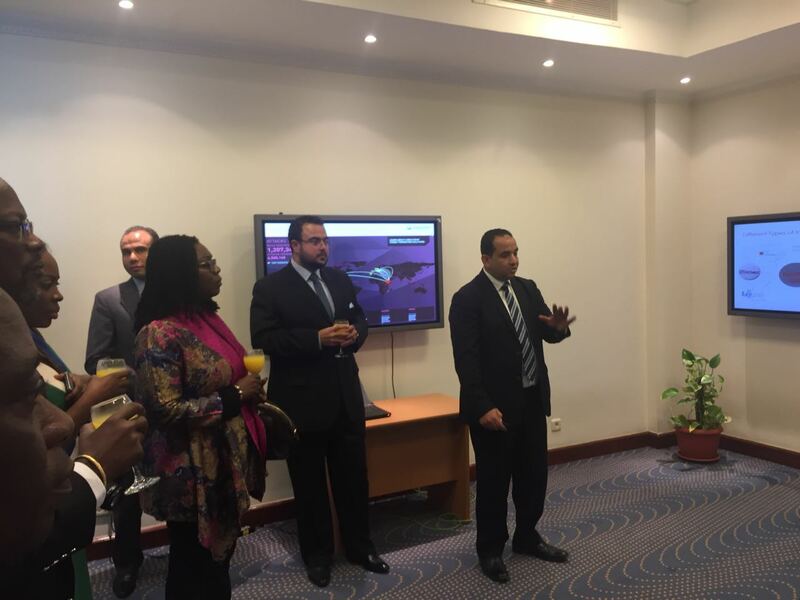 The Minister of Communications and Information Technology Yasser ElKady met earlier with Ghana’s Minister of Communications Ursula Owusu-Ekuful to discuss means of cooperation on a number of topics related to the ICT field. During the meeting, a Memorandum of Understanding (MoU) was signed between the two ministries, aimed at enhancing bilateral cooperation in the ICT field; developing and supporting training opportunities; setting policies; and promoting research, innovation and entrepreneurship, benefiting both public and private sectors. The two-year MoU includes areas of cooperation between the two ministries in planning and establishing technology parks in Ghana. This is in addition to transferring Egyptian expertise to the Ghanaian side in the fields of electronic applications, e-government, infrastructure, data centers, cybersecurity, innovation, entrepreneurship and documentation of Ghana’s cultural and natural heritage. The agreement was signed by the ICT Minister Yasser ElKady, and Ghana’s Minister of Communications Ursula Owusu-Ekuful.